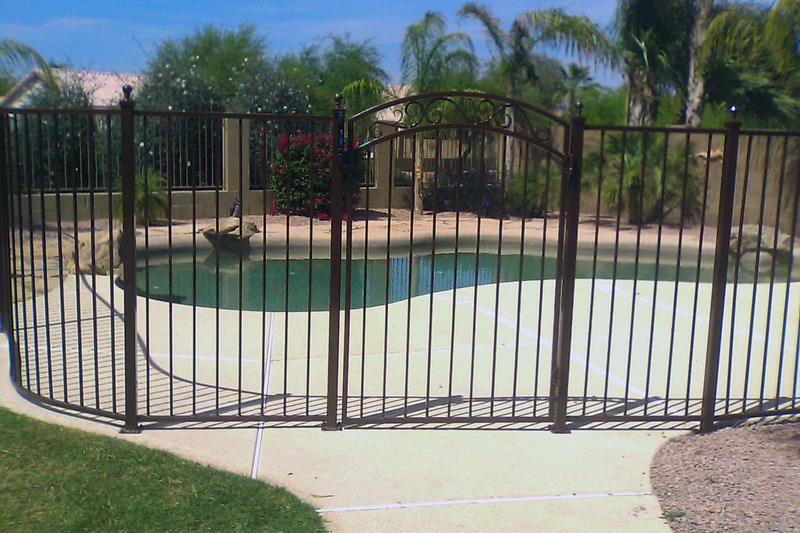 Pool safety fencing with an arched gate. A common question we receive is "how do I get the most bang for my buck?". This image with the standard pool safety fencing and an arched, decorative and ball tops on the posts shows what I tell them. This gate and ball tops adds about $300 to the price of a standard pool safety fence installation but looks like much more. The safest gate latch you can buy! 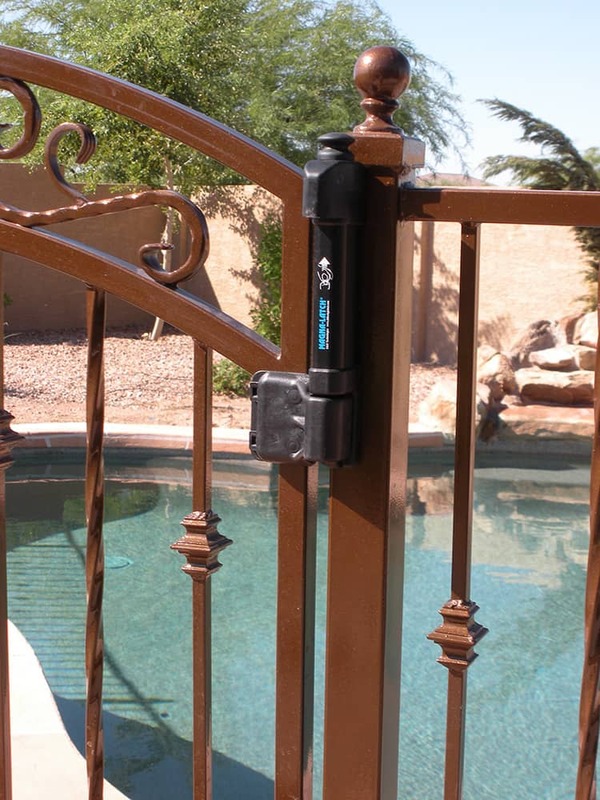 This Magna-Latcht is the safest pool gate latch you can buy. The top-pull release is about 5'4" off the ground and requires some leverage to pull. You can easily lock it or lock it and take out the key for more security. REMEMBER: A pool fence does not eliminate the need to supervise kids around water. See how easily you can see through it? 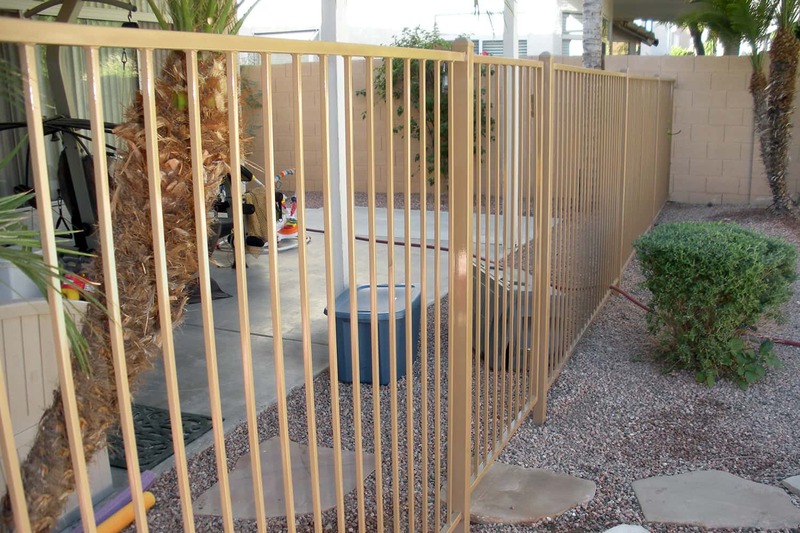 A typical concern is the pool fencing will eliminate their view of and through the pool. Your eyes will get used to the pool fencing in a day or two and you will find yourself looking through it just like you look through shutters or window frames. With our experienced installers, we can install your pool safety fencing to curve around a deck, landscaping or other features. It curves smoothly and looks much nicer than trying to fit in straight fencing in a curved environment. Straight fencing looks great in the right place. Classic pool safety fencing with a gate. 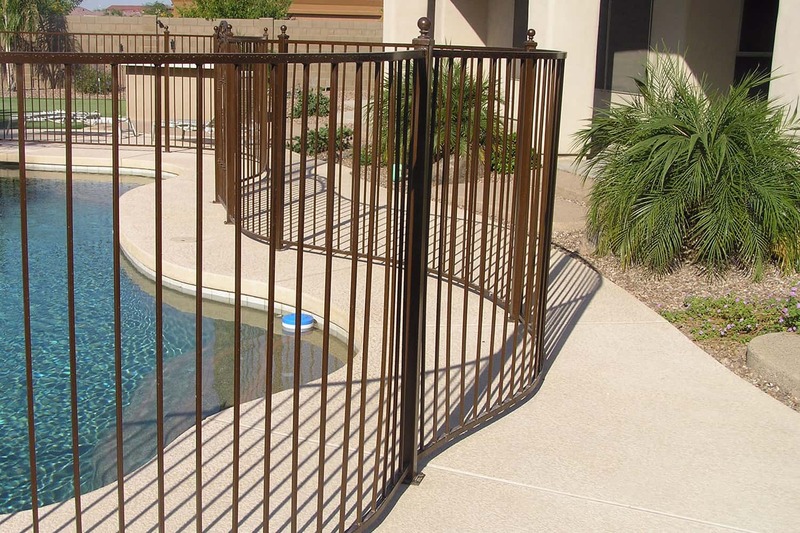 A simple sturdy barrier between your home and the pool is shown in this stretch of straight fencing with a gate. 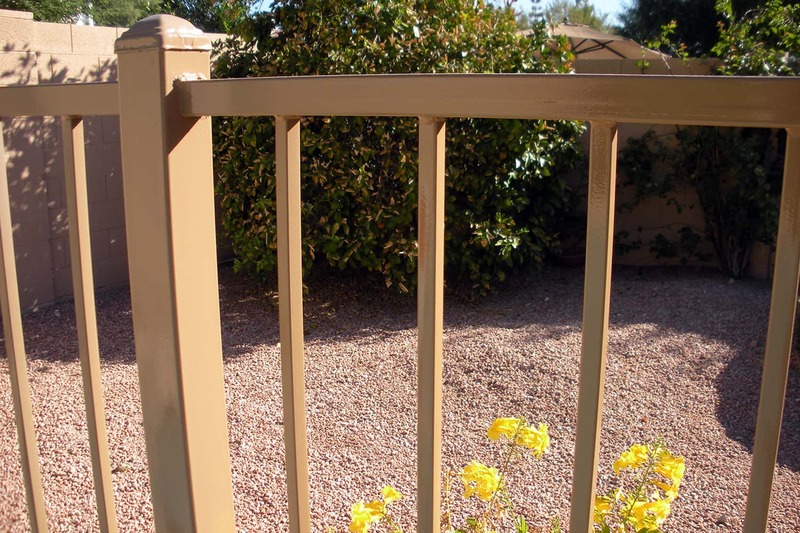 The "sandstone" polyurethane color shown blends with most house colors.